We went to Montenegro and Croatia last year, and didnt get enough! 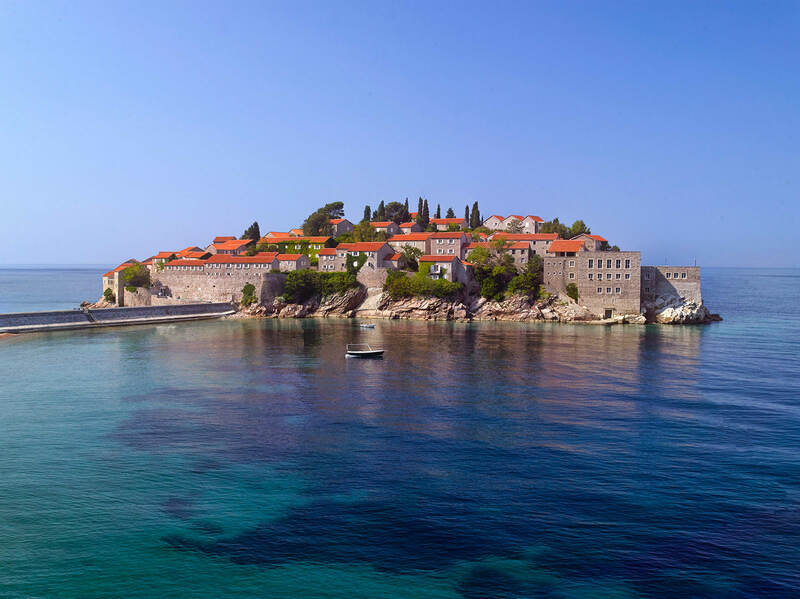 I was teaching in the gorgeous Sveti Stefan in Montenegro and we we whisked to Dubrovnik for a few nights of Holiday. The city captured our hearts, and we adored the hotel with every room having views of the sea, and a luxuriously decadent Spa with authentic Turkish Bath and Hammam. We found the summer too hot and crowded, and vowed to return with a small group to share the beauty and history of this magnificent Pearl of the Adriatic. Driving across the coast that borders Montenegro brings you to rocky mountains dotted with groves of cypress, fig, olive, cedar and pine trees. The fortresses and hilltop towns along the wondrous and vast Bay of Kotor, a World Heritage site provide extraordinary views. And exploring the winding cobbled streets, squares, medieval churches and mansions of Kotor left us wanting to see them again. There is even an adventure with a kayak excursion on the sapphire waters, right under the Old Town walls of Dubrovnik that we want to try! Take a holiday of exploration AND rejuvenation. Discover the alluring landscapes and towns of the Adriatic most beautiful regions. Take your wellness routines with you as you discover this dreamy Dalmatian coastline. Each with its own culture, tradition and landscape, with miles of untouched Adriatic coast uniting the two. Learn their history and meet the people. This is the glittering Adriatic coastline, full of historic cities and dramatic landscapes that make this area one of the most exciting destinations in Europe! Cora’s Custom Tours means seeing the world the way you want to see it, with an itinerary with you in mind, and created with local experts. Enjoy an unforgettable experience of relaxation, rejuvenation and balance of the body, mind and soul. Enjoy luxurious 5-star accommodations just outside the historic UNESCO protected Dubrovnik Old Town, attend daily yoga classes and soak in an authentic Turkish Hamman. Our hotel has 2000 sqm of SPA space offering purification, relaxation and soothing treatments to aid your journey of self-discovery. Rich in Baltic traditions, full of historic churches and breathtaking natural beauty, this is a unique cultural + wellness getaway. Visit the medieval town of Perast and marvel at the twin islands of St George and Our Lady of the Rocks. Both are religious pilgrimage sites. Group tour of max 18 passengers means there will be plenty of attention from the private guide. Croatia is a place unlike others, proud of its history and traditions, filled with grand palaces, walled cities and postcard perfect coastal villages. Dubrovnik is like a James Bond film-set, where cobblestone streets deliver gorgeous views, fantastic façades, and Medieval terraces hanging over the sparkling sea. 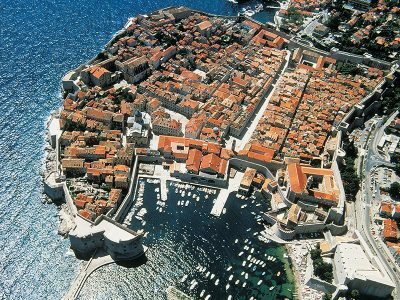 Experience the immense charm of this UNESCO protected Medieval walled city, perfectly situated on the Adriatic Sea. Known as the Pearl of the Adriatic, it is medieval, mythical and sometimes magical. The walled Old City, dating from the 11th century, is surprisingly intact, and fended off the Venetians, Ottomans and other empires to remain an independent city-state. Wandering the Old City’s steep cobblestoned streets will feel like time travel. 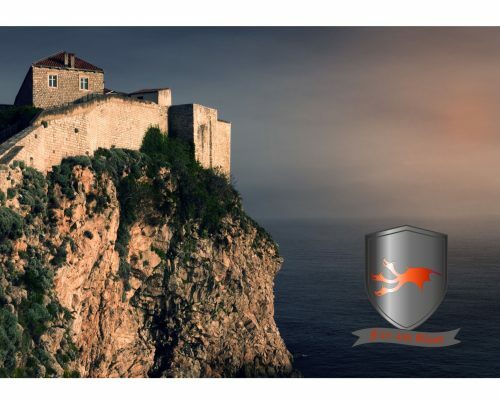 Game of Thrones fans will recognise the mighty ramparts, winding alleys, and soaring views of the King’s Landing, where its tempting to stand on the wide city walls and scan the sky for dragons! Dubrovnik is a treasure trove of 16th-century architecture, and there’s magic to be found in this city; a magnificent blend of old and new world. A walking tour of the imposing city walls offers panoramic views over the beaches, mountains, squares and rooftops. Explore Dubrovnik’s islands by sea kayak, stopping at a cove for a swim. Explore the alleyways and squares of Dubrovnik, to discover enchanting Baroque and Renaissance architecture. Head to the harbour where vessels can take you to nearby islands. At sunset, try some local dishes. 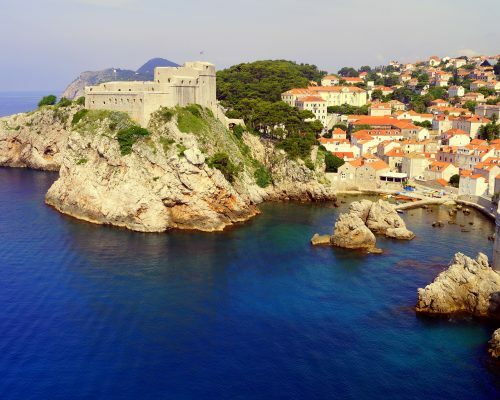 Dubrovnik’s Old Town tells a thousand stories with its influences of Byzantine, Greek, and Austrian. The city’s charm is apparent in its unhurried pace and exquisite views: there’s a reason why Croatia has repeat visitors. Located just an hour from Dubrovnik, the Montenegro coast offers incomparable natural beauty and a great variety of historical places. We will take a full day tour to this charming country, and enjoy a glimpse of the Montenegrin hospitality! 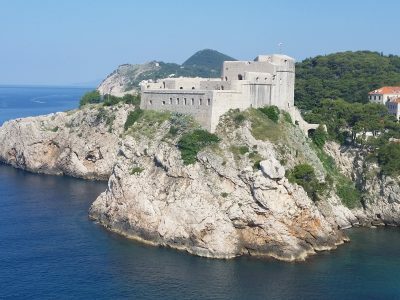 Departing from Dubrovnik in the morning, we will drive through the beautiful Župa Dubrovačka and the Konavle region, along the enchanting Adriatic Coast to the neighboring country of Montenegro. 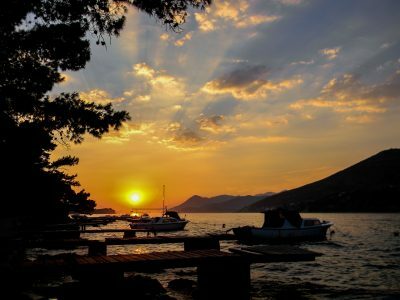 Despite its small size, Montenegro offers a great variety of nature, history, culture and tradition. After crossing the Montenegro border, we will continue along the picturesque Montenegro coast. We will stop at the iconic island retreat of Sveti Stefan, and have a private tour of the historic and scenic peninsula. A lunch stop in town of Budva , famous for its old city and beautiful sandy beaches. In the afternoon, we will drive through Boka Kotorska Bay, stopping at Perast, home of the island of Our Lady of the Rocks. During the tour, we will learn about Montenegro’s cultural monuments, and the countries history and legends. Stop in the town of Kotor, a UNESCO World Heritage Site with ancient monuments and well-preserved medieval architecture. Explore the city’s historical center and spend time at leisure. The town of Kotor is famous for its nautical tradition, fleet and imposing city walls. 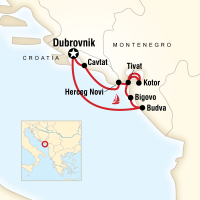 After sightseeing we will make our way back to Dubrovnik, including a ferry drive across the Boka Kotorska Bay. 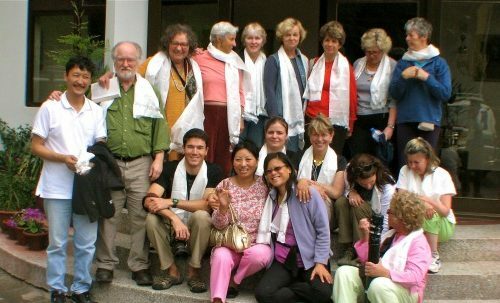 Cora has over 25 years of experience, is a born adventurer, and has led groups to the highest Himalayas and to the valleys of the Mekong. She seeksthe best places to visit because she has been there herself. She will get to know you as an individual, one traveller to another, in order to make your journey everything you want it to be. Navigating international travel can be time consuming, confusing and chaotic, – we have already done the work for you! We have scoured the globe and cherry picked the best of the best, leaving you time to savour the flavors of a country, learn the history and culture, and soak in the sights and sounds. Yet we still build in time for you to take care of yourself and practice yoga, relax by the sea, indulge in a Spa treatment or explore on your own.